While it’s true, bankruptcy can show up on your credit report for up to 10 years, but bankruptcy is certainly not the only thing that can damage your credit rating. Falling behind or avoiding making payments can also negatively impact your credit score. Other reasons for negative hits to your credit report include foreclosures, court judgments, late payments, repossessions, liens. All these occurrences can stay on your report for up to seven years. 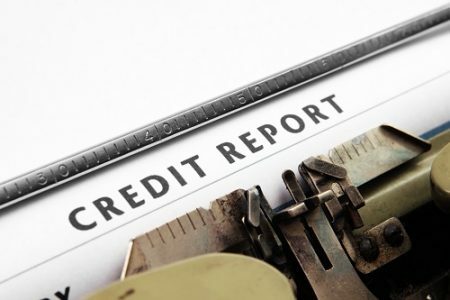 If you are behind in your payments and creditors are threatening with legal action, you may lose your home or car, and that action will still be on your credit report. Having a bankruptcy on your credit history is not catastrophic, it may be what you need to save your home and vehicle. When you file for bankruptcy you have an automatic stay, what this means is that while you are in the process of getting your financial situation in order, the creditors can not contact you or take any more legal action against you. Bankruptcy can protect your assets that are important to you, such as your home and your car. If you don’t file for bankruptcy and your vehicle gets repossessed, or your home is sold out from under you by the lenders, you may still owe on these loans if the loan amounts were not satisfied during the sale. If you are drowning in debt, your credit rating might not be a priority right now. The ability to borrow more money in the near future shouldn’t be a concern if you are unable to keep up now. Take the time to learn better fiscal responsibility, and work on living within your means. The loan offers will still come, it will just be a while before the interest rates are more reasonable. If you are unable to keep up with your payments and worried you might lose your home or your car, contact a Houston bankruptcy attorney to find out what your options are.